Every Friday & Saturday Night beginning June 15 and ending August 11. There is a special performance on Tuesday, July 4th that starts at 6:30 PM. 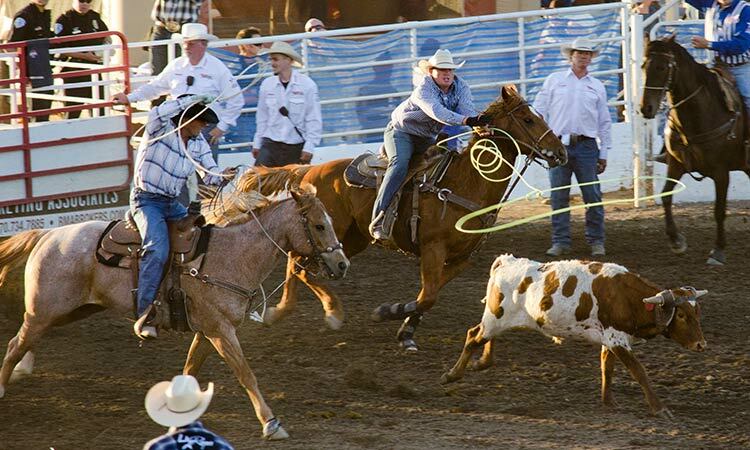 There is a traditional BBQ serving ribs, chicken, beef, burgers, dogs and brats beginning each rodeo evening at 6:00 p.m. and runs until 9:30 p.m. There is also a full service bar offering cold beers and wine. 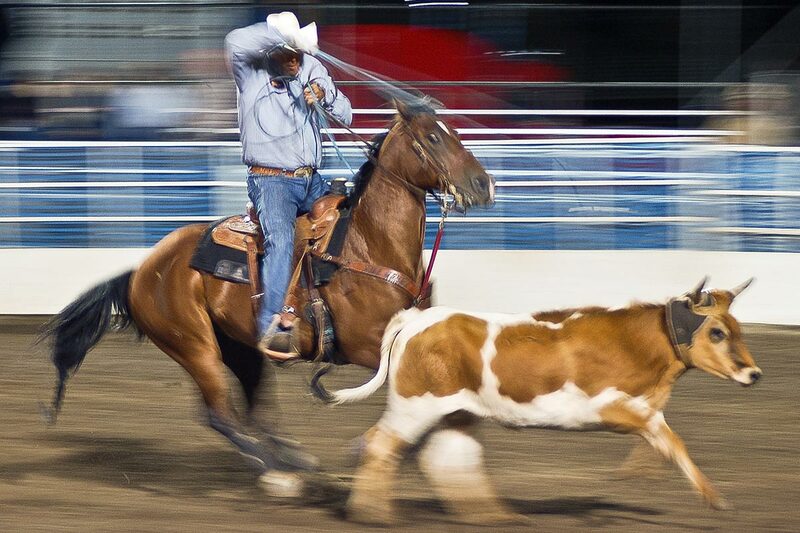 Pre-Rodeo entertainment appears on the entertainment stage from 6:15 p.m. until 7:15 p.m. The gates open at 5:30. If you want to enjoy the delicious barbeque, you should plan on allowing yourself enough time to eat before you sit down for the rodeo. All seats offer an excellent view of the arena. However, since all seats are general admission, if you want to sit in a particular area, you should be there by 6:30. The rodeo goes on even if it rains. As the arena gets muddier, the action can become even more entertaining to watch.